A book co-written by Holly Black and Cassandra Clare? What more could you want? This is on my list too! :) It sounds awesome and I love Holly Black! Ooh nice! This is new to me! Looks intriguing! normally I don't do MG books, but I might make an exception for this one. Like Grace, I don't normally read MG but I'd take a chance on these two authors :) Great pick. Cover looks creepy and intriguing!! I do like Holly Black. She's a twisty-turny writer. Not the biggest CC fan, though. Like the cover! Holly Black AND Cassandra Clare?! Wow! I love Holly Block, she's fantastic! 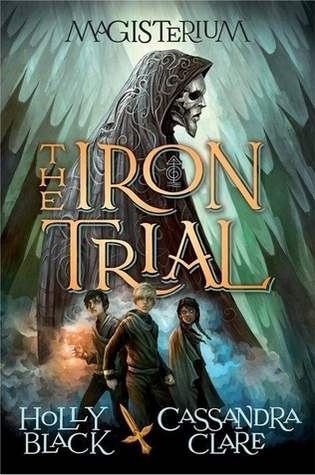 I've yet to read some Cassandra Clare (shame on me) but I really want to pick this one up! ok, um. yeah watched Stoker louis vuitton outlet and couldn't DISAGREE more. I admit I quit after the first half of the film. The pacing rolex datejust replica was funky but in a scattershot/chaotic manner with so very little character development. Weird works if there's swiss replica watches a point. This movie was just weird for the sake of being weird. Way TOO MANY illogical behavioral tendencies to be watchable. I'm sure rolex masterpiece watches someone will tell me it picked up in the 2nd half, but if you can't tell a receivable story in the first hour you're doing something incredibly ok, um. yeah watched Stoker louis vuitton outlet and couldn't DISAGREE more. I admit I quit after the first half of the film. The pacing rolex datejust replica was funky but in a scattershot/chaotic manner with so very little character development. Weird works if there's swiss replica watches a point. This movie was just weird for the sake of being weird. Way TOO MANY illogical behavioral tendencies to be watchable. I'm sure rolex masterpiece watches someone will tell me it picked up in the 2nd half, but if you can't tell a receivable story in the first hour you're doing something incredibly http://www.oceancityseafood.com/old.asp wrong. wrong.